New York NY Readio® Front Page - January 31st 2002. NYC Clickers Daily Feature Photos - "The Discount Shopping Game, New York City - Photo Tour"
NYC Clickers Photo Tours pg. 2 - Today's photo tour takes you on a world of shopping in Chinatown. You'll see photos of Canal Street which is lined with Chinese restaurants and stores. See pictures of Pearl River, Pearl Paint, and Hotdog vendors in Chinatown. See pictures of Broadway and Canal Street where the stores all sell discounts for your shopping pleasure. Zoom Zone Pictures - Advertising Leo’s Barber Shop, NYC Haircuts, Roses, New York City Phototour. New York City lifestyle photography. Doctor Delicious New York Chef Recipes - Recipe for A La King Sauce. Stanley takes Starlene to the Rainbow Room after she caught him with his secretary Nicole. Will an expensive dinner make up for his unfaithfulness? New York NY Readio® Front Page - January 30th 2002. NYC Clickers Daily Feature Photos - "The Elegance of the East, New York City - Photo Tour"
NYC Clickers Photo Tours pg. 2 - In today's photo tour you'll see why the wealthy love the Upper East Side. You'll see photos of the Carlyle Hotel and Cafe Carlyle where Woody Allen performs on Monday nights. You'll also see pictures of the Metropolitan Museum of Art, the Whitney Museum, Central Park, Park Avenue, Madison Avenue, and even the street where Mayor Mike Bloomberg lives. Zoom Zone Pictures - Park Avenue, 77th Street, High-rise Apartments, Roses, New York City Phototour. New York City lifestyle photography. Doctor Delicious New York Chef Recipes - Recipe for Olive Bread Loaves. Stanley tries to apologize to Starlene after she caught him with his secretary Nicole. Will Starlene forgive her wealthy lover? New York NY Readio® Front Page - January 29th 2002. NYC Clickers Daily Feature Photos - "Attention : Times Square, New York City - Photo Tour"
NYC Clickers Photo Tours pg. 2 - Pictures of the advertisements in Times Square that really get your attention. See pictures of the Coke sign on Broadway, billboards, and the U.S. Armed Forces Station on Broadway in Times Square. You'll see pictures of Loew's Theater, MTV, JVC, The Paramount Building, and "The Producers". Zoom Zone Pictures - The Producers, Paramount Building, Broadway, Times Square, New York City Phototour. New York City lifestyle photography. Doctor Delicious New York Chef Recipes - Recipe for Tomato Soup. Starlene confides in her sister Tiffany after catching her lover Stanley with his secretary Nicole. Readio® on Broadway - "Elaine Stritch: At Liberty" - New on Broadway for 2002. Readio® on Broadway - "One Mo' Time" - New on Broadway for 2002. Readio® on Broadway - "The Goat or Who is Sylvia?" - New on Broadway for 2002. New York NY Readio® Front Page - January 28th 2002. NYC Clickers Daily Feature Photos - "South to Soho, New York City - Photo Tour"
NYC Clickers Photo Tours pg. 2 - A picture tour that takes you from Houston Street to SoHo. You'll see Houston Street and the cool Bebe billboards that take an entire building. You'll see pictures of West Broadway, the stores, restaurants and shopping in SoHo. You'll see a picture of the new Tommy Hilfiger store on West Broadway and SoHo. See pictures of the cast-iron buildings and the cobblestone streets of SoHo. Zoom Zone Pictures - Tommy Hilfiger West Broadway, Shopping in Soho, Roses, New York City Phototour. New York City lifestyle photography. Doctor Delicious New York Chef Recipes - Recipe for Lemon Tart. Stanley's in his office with his new secretary Nicole when his girlfriend Starlene stops by. Is the Empire State Building big enough for the three of them? New York NY Readio® Front Page - January 25th 2002. NYC Clickers Daily Feature Photos - "New York City Galore, New York City - Photo Tour"
NYC Clickers Photo Tours pg. 2 - Pictures of NYC from rooftops and crowded sidewalks. See pictures of Worldwide Plaza, the Crowne Plaza hotel, Times Square, Broadway and the Carlyle hotel on Madison Avenue. See pictures of the Met, West End Avenue, the Statue of Liberty in the skyline, Canal Street and Broadway in SoHo. Zoom Zone Pictures - Broadway, Grace Church, NYC Traffic, Chinatown, Roses, New York City Phototour. New York City lifestyle photography. Doctor Delicious New York Chef Recipes - Recipe for Hot Chocolate Zabaglione. Stanley's on the sofa romantically involved with his secretary Nicole when his young lover Starlene stops by his office! New York NY Readio® Front Page - January 24th 2002. NYC Clickers Daily Feature Photos - "Greenwich Village Clubs That Rock, New York City - Photo Tour"
NYC Clickers Photo Tours pg. 2 - A picture tour of the Rock and Roll clubs of NYC's Greenwich Village. See pictures of the great clubs on Bleecker Street, like Kenny's Castaways, The Back Fence, and the Bitter End. See the famous club The Bottom Line on West 4th Street, and there's always Elbow Room on Bleecker Street. You'll see Washington Square Park and 6th Avenue. This tour rocks! Zoom Zone Pictures - Greenwich Village Rock and Roll Music Clubs, Bottom Line, New York City Phototour. New York City lifestyle photography. Doctor Delicious New York Chef Recipes - Recipe for Ravioli with Basil and Nuts. Nicole knows she could be in trouble with Jan for seeing Skeeter. She makes sure she has job security with Jan's Father Stanley. What will Jan do? New York NY Readio® Front Page - January 23rd 2002. NYC Clickers Daily Feature Photos - "The Lower East Side, New York City - Photo Tour"
NYC Clickers Photo Tours pg. 2 - Photos of the Lower East Side of New York City. You'll see First Avenue and Delancey Street where people shop for discounts. You'll see pictures of the Jewish Market, St. Mark's Place and La Palapa Restaurant. See photos of Chinese food markets, a firehouse, and the Hell's Angels motorcycle clubhouse in the Lower East Side's East Village. Zoom Zone Pictures - La Palapa Restaurant, St. Mark’s Place, Chinese Food, New York City Phototour. New York City lifestyle photography. Doctor Delicious New York Chef Recipes - Recipe for Clam Chowder. Skeeter thought that Jan catching him with Nicole was bad enough, now it's time for revenge. New York NY Readio® Front Page - January 22nd 2002. NYC Clickers Daily Feature Photos - "Winter in Bryant Park, New York City - Photo Tour"
NYC Clickers Photo Tours pg. 2 - Pictures of panoramic views of the NYC skyline from Bryant Park. You'll see pictures of the Chrysler Building on 42nd Street, the skyline of Midtown Manhattan from Bryant Park, and the New York Public Library. See pictures of the new 4 Times Square Building, the WR Grace Building, and the restaurant in Bryant Park. Zoom Zone Pictures - Bryant Park Restaurant, 5th Avenue, Roses, Skyline Views, New York City Phototour. New York City lifestyle photography. Doctor Delicious New York Chef Recipes - Recipe for Sole with Sweet and Sour Sauce. Jan caught Skeeter with Nicole. Nicole threatened to tell Jan's Father about the affair and get her disinherited. For Love or Money, who will win? Readio® on Broadway - "An Almost Holy Picture" - New on Broadway for 2002. Readio® on Broadway - "Bea Arthur" - New on Broadway for 2002. Readio® on Broadway - "The Graduate" - New on Broadway for 2002. Readio® on Broadway - "The Man Who Had All The Luck" - New on Broadway for 2002. Readio® on Broadway - "Sweet Smell of Success" - New on Broadway for 2002. Readio® on Broadway - "The Crucible" - New on Broadway for 2002. Readio® on Broadway - "Oklahoma" - New on Broadway for 2002. Readio® on Broadway - "Into The Woods" - New on Broadway for 2002. New York NY Readio® Front Page - January 21st 2002. NYC Clickers Daily Feature Photos - "Spending a Day Downtown, New York City - Photo Tour"
NYC Clickers Photo Tours pg. 2 - See why thousands are flocking downtown every day to see Ground Zero. See how people are spending their day Downtown. You'll see pictures of South Street Seaport Museum, St. Paul's Church and the skyline of NYC's Downtown. See photos of the New York Stock Exchange on Wall Street, NYC Chinatown and Caffe Napoli Restaurant in Little Italy. You'll also see pictures of Battery Park and Grand Street in SoHo. Zoom Zone Pictures - Grand Street Soho, Battery Park City, Winter Garden, Roses, New York City Phototour. New York City lifestyle photography. Doctor Delicious New York Chef Recipes - Recipe for Steak with Cheese. Skeeter knows Jan's caught him with Nicole. He opens his apartment door. Will he take it like a man? New York NY Readio® Front Page - January 18th 2002. NYC Clickers Daily Feature Photos - "The Capital of Cool, New York City - Photo Tour"
NYC Clickers Photo Tours pg. 2 - Today's photo tour highlights the many years of coolness in Greenwich Village. You'll see pictures of Washington Square Park and the clubs on Bleecker Street. You'll see pictures of homes on Grove Street, and the Pink Teacup restaurant where famous people like Oprah have enjoyed soul food. You'll see pictures of 7th Avenue and people in Washington Square Park. Zoom Zone Pictures - Pink Teacup Restaurant, Washington Square Park, Roses, New York City Phototour. New York City lifestyle photography. Doctor Delicious New York Chef Recipes - Recipe for Carrot Cream Cheese Cake. Nicole's secretly at Skeeter's after being late because her boyfriend Vinny came to town. Jan's been watching Nicole. It's a showdown on Bleecker Street. New York NY Readio® Front Page - January 17th 2002. NYC Clickers Daily Feature Photos - "Makin' it on Broadway, New York City - Photo Tour"
NYC Clickers Photo Tours pg. 2 - It's simply the most exciting place on Earth, Broadway and Times Square. See pictures from a rooftop looking down on the Crown Plaza Hotel in Times Square. You'll see pictures of Broadway at night, the Jumbotron, Shubert Alley and the TDF theater tickets sales booth for Broadway shows. You'll see pictures of ABC Studios, and the famous naked cowboy in Times Square. Zoom Zone Pictures - Jumbotron, Times Square, Broadway, ABC Studio, New York City Phototour. New York City lifestyle photography. Doctor Delicious New York Chef Recipes - Recipe for Duck with Pears. Nicole's at Skeeter's two hours late because her boyfriend Vinny surprised her when he came to town today. Vinny's still suspicious and Jan is too. New York NY Readio® Front Page - January 16th 2002. NYC Clickers Daily Feature Photos - "Viewing Ground Zero, New York City - Photo Tour"
NYC Clickers Photo Tours pg. 2 - Thousands come to NYC from all over the world to see Ground Zero. Today we'll show you pictures taken from a rooftop looking down on Ground Zero. You'll see the remains of the WTC, and the area of Battery Park City including the Atrium Building. You'll see the Empire State Building, the skyline from the Brooklyn Bridge, the Financial Center office buildings, and closeups of the rescue workers at Ground Zero. Zoom Zone Pictures - Rescue Workers Ground Zero World Trade Center Terrorist, New York City Phototour. New York City lifestyle photography. Doctor Delicious New York Chef Recipes - Recipe for Roast Chicken Stuffed with Fennel Sausage. Starlene told Vinny that Nicole's cheating on him. Nicole goes to lunch with Vinny while she's supposed to be at Skeeter's. Will three be company at lunch today? New York NY Readio® Front Page - January 15th 2002. NYC Clickers Daily Feature Photos - "Big Apple Appeal, New York City - Photo Tour"
NYC Clickers Photo Tours pg. 2 - Pictures of some of the great areas of New York City that keep people coming back for more. You'll see pictures of Times Square and Broadway, Park Avenue, South Street Seaport, and Pete's Tavern at Gramercy Park. You'll also see pictures of the Woolworth Building from Canal Street in Chinatown. You'll see the cowboy in his underwear on Broadway and a black squirrel in Washington Square Park. Zoom Zone Pictures - Cowboy on Broadway, Times Square, Black Squirrel, Roses, New York City Phototour. New York City lifestyle photography. Doctor Delicious New York Chef Recipes - Recipe for Spiced Walnut and Date Cake. Vinny takes Nicole to lunch. Starlene told him that Nicole's been cheating. He demands answers as other problems arise. New York NY Readio® Front Page - January 14th 2002. NYC Clickers Daily Feature Photos - "Having it All... The Upper West Side, New York City - Photo Tour"
NYC Clickers Photo Tours pg. 2 - Why do so many famous people choose the Upper West Side to be their home? You'll see pictures of Columbus Circle, the Lincoln Center for the Performing Arts, Trump International Hotel and Tower, and Columbus Avenue. You'll see pictures of Central Park at Columbus Circle and the brownstones of the Upper West Side of Manhattan. Zoom Zone Pictures - Restaurant, Upper West Side, Dog, Brownstones, Roses, New York City Phototour. New York City lifestyle photography. Doctor Delicious New York Chef Recipes - Recipe for Chicken Saltimbocca. Nicole's boyfriend Vinny stops by and surprises her while she's at Clark's office. Starlene secretly told Vinny that his girlfriend Nicole is a cheat. How much trouble will Vinny cause? Readio® on Broadway - "The Women" - Closed Sunday January 13th 2002. Readio® on Broadway - "Hedda Gabler" - Closed Sunday January 13th 2002. Readio® on Broadway - "Dance of Death" - Closed Sunday January 13th 2002. New York NY Readio® Front Page - January 11th 2002. NYC Clickers Daily Feature Photos - "The Empire State Building, New York City - Photo Tour"
NYC Clickers Photo Tours pg. 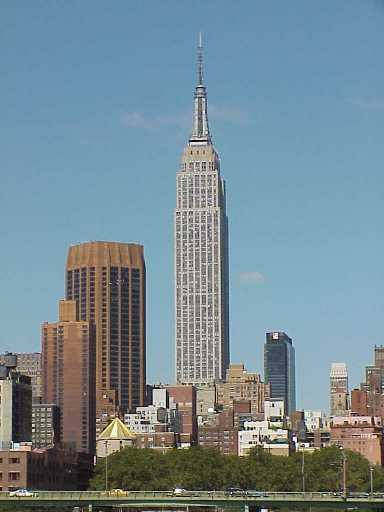 2 - See a picture tour of the Empire State Building and its neighborhood. You'll see aerial pictures of the Empire State Building from a nearby rooftop, as well as a look from the street level. See photos of Jerry Seinfeld's favorite Chinese restaurant, Hunan Fifth, across from the Empire State Building. You'll see a picture of Pierpont Morgan Library, a museum of JP Morgan's collections. See pictures of the Manhattan Mall, Park Avenue and Grand Central Station. Zoom Zone Pictures - Jerry Seinfeld, Hunan Chinese Restaurant, Fifth Avenue, Roses, New York City Phototour. New York City lifestyle photography. Doctor Delicious New York Chef Recipes - Recipe for Macaroni and Cheese. Starlene told Nicole's boyfriend Vinny all about her chasing everyone's man. Vinny's in town, he's angry and right across the street. New York NY Readio® Front Page - January 10th 2002. NYC Clickers Daily Feature Photos - "The Family Business, New York City - Photo Tour"
NYC Clickers Photo Tours pg. 2 - See a picture tour of family oriented businesses on the Lower East Side. You'll see the Jewish Market and the merchandise being sold on the streets. You'll see pictures of Economy Candy on Rivington Street and Veniero's Bakery in the East Village. You'll see pictures of the restaurants of Little India, Delancey Street and a Jewish Synagogue dating back to 1892. Zoom Zone Pictures - Jewish Synagogue, Lower East Side, Delancey Street, Roses, New York City Phototour. New York City lifestyle photography. Doctor Delicious New York Chef Recipes - Recipe for Chocolate Cheesecake. Starlene told Vinny that Nicole is cheating. He's surprises Nicole that he's close by when he calls and wants to discuss their relationship. New York NY Readio® Front Page - January 9th 2002. NYC Clickers Daily Feature Photos - "Love Potion # 212, New York City - Photo Tour"
NYC Clickers Photo Tours pg. 2 - You'll see a variety of NYC's great sights in today's photo tour. See pictures of the NYC skyline as seen from the Brooklyn Bridge, Little Italy, Broadway, Times Square, and Bergdorf Goodman on Fifth Avenue. You'll see pictures of the Metropolitan Museum of Art and Grand Army Plaza. See a picture of Cocino Cuzco Peruvian Restaurant on Avenue A.
Zoom Zone Pictures - Cocino Cuzco Restaurant, Food of Peru, Peruvian, Horse, New York City Phototour. New York City lifestyle photography. Doctor Delicious New York Chef Recipes - Recipe for Lentil Soup. Starlene stops by Tiffany's office and Nicole is there. Does Nicole know Starlene went to dinner with her boyfriend and told on her for cheating? New York NY Readio® Front Page - January 8th 2002. NYC Clickers Daily Feature Photos - "Madison Square Garden, Sports, New York City - Photo Tour"
NYC Clickers Photo Tours pg. 2 - See pictures of Madison Square Garden Sports Center. You'll see pictures of Macy's and The Hotel Pennsylvania located across from Penn Station and Madison Square Garden. You'll see the new building of Ernst & Young on 7th Avenue, the New Yorker Hotel, and NYC's Main Post Office. Zoom Zone Pictures - The Hotel Pennsylvania, Madison Square Garden Sports Center, New York City Phototour. New York City lifestyle photography. Doctor Delicious New York Chef Recipes - Recipe for Olive Bread. Tiffany is shocked and worried after she hears about Starlene's dinner with Nicole's boyfriend Vinny. Did she make more trouble? New York NY Readio® Front Page - January 7th 2002. NYC Clickers Daily Feature Photos - "Big City Sights, New York City - Photo Tour"
NYC Clickers Photo Tours pg. 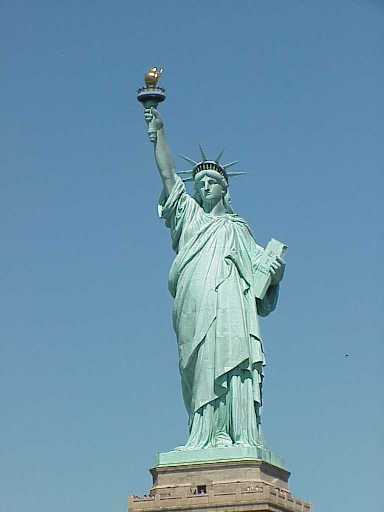 2 - See pictures of various NYC sights. You'll see a picture of the skyline of NYC as seen from The Jamaica Bay side of the Rockaways Beach. See pictures of Times Square, clubs in Greenwich Village, Park Avenue, the New York Times building, Mulberry Street in Little Italy, West 14th Street, and the billboards of Houston Street. Zoom Zone Pictures - Mulberry St., Little Italy, West 14th Street, Roses, New York City Phototour. New York City lifestyle photography. Doctor Delicious New York Chef Recipes - Recipe for Lamb Chops in Red Wine. Starlene meets Nicole's boyfriend Vinny in Little Italy for dinner. He thinks Starlene's available. She wants him to tighten the reins of Nicole so that she'll leave Stanley alone. Readio® on Broadway - "The Music Man" - Closed Sunday January 5th 2002. Readio® on Broadway - "Thou Shalt Not" - Closed Sunday January 5th 2002. Readio® on Broadway - "The Rocky Horror Show" - Closed Sunday January 5th 2002. New York NY Readio® Front Page - January 4th 2002. NYC Clickers Daily Feature Photos - "The Charm of Chinatown, New York City - Photo Tour"
NYC Clickers Photo Tours pg. 2 - See pictures of Chinatown near the Manhattan Bridge. You'll see pictures of Chinese architecture and ornaments, a Chinese bank, and the Manhattan Bridge. See pictures of Canal Street, Columbus Park, and the Bowery. You'll see Chinese people at home in their daily life in NYC's Chinatown. Zoom Zone Pictures - Chinatown, Columbus Park, Chinese People, Card Games, New York City Phototour. New York City lifestyle photography. Doctor Delicious New York Chef Recipes - Recipe for Walnut and Ricotta Cake. Nicole's boyfriend Vinny flys into NYC to meet Starlene for dinner. Will Starlene succeed in getting her lover Stanley's secretary Nicole fired? New York NY Readio® Front Page - January 3rd 2002. NYC Clickers Daily Feature Photos - "The Variety of NYC, New York City - Photo Tour"
NYC Clickers Photo Tours pg. 2 - Want to know where the cast of the TV series the Sopranos hangs out? Today's picture tour has photos of SoHo and Milady's restaurant, a favorite of the Sopranos. See pictures of Radio City Music Hall, the Wall Street Bull, Times Square, the NY Yacht Club, the City Club Hotel and the Focacceria on MacDougal Street. You'll also see pictures of the Parker Meridien Hotel on 57th Street and the Dakota on Central Park West. Zoom Zone Pictures - Parker Meridien Hotel, 57th Street, Dakota, Roses, New York City Phototour. New York City lifestyle photography. Doctor Delicious New York Chef Recipes - Recipe for Beef Stew with Artichokes and Peas. The women want Stanley's secretary Nicole fired. Nicole's been chasing all of the men. Starlene takes over the plans to get Nicole fired. New York NY Readio® Front Page - January 2nd 2002. NYC Clickers Daily Feature Photos - "Fashion Indicators, East Village, New York City - Photo Tour"
NYC Clickers Photo Tours pg. 2 - A picture tour of the East Village from Cooper's Union to 1st Avenue. You'll see a picture of the Astor Place Hairstylist where famous people get their haircuts. See pictures of St. Mark's Place, Astor Place, East Village Streets and stores. You'll see a picture of the Islamic Center on First Avenue. Zoom Zone Pictures - Islamic Center, 1st Avenue, East Village, Roses, New York City Phototour. New York City lifestyle photography. Doctor Delicious New York Chef Recipes - Recipe for Potato Cakes with Onion and Cheese. Jan stops by and visits Tiffany and Starlene. The topic of conversation is Nicole and her advances towards everyone's man. Will the three team up against Nicole? New York NY Readio® Front Page - January 1st 2002. NYC Clickers Daily Feature Photos - "A New Mayor and a New Year for New York City, New York City - Photo Tour"
NYC Clickers Photo Tours pg. 2 - Happy New Year! Today we'll show you pictures of the downtown area where our new Mayor will be working. See pictures of City Hall, the Municipal Building, and the Brooklyn Bridge. You'll see pictures of St. Paul's Chapel and the memorials to the WTC victims. You'll see the Woolworth Building, the World Trade disaster area, and rescue workers. We'll show you a picture of Mayor Michael Bloomberg and out-going Mayor Rudy Giuliani. Zoom Zone Pictures - Mayor Mike Bloomberg, Rudy Giuliani, Heroes of 9/11, New York City Phototour. New York City lifestyle photography. Doctor Delicious New York Chef Recipes - Recipe for Clam and Corn Chowder. It's the day after the party. Starlene confronts her older lover Stanley about the intimate plans she overheard him and his secretary Nicole making last night at the party.